STC500100 cilindro de embrague Land Rover serie 3. Manufacturer Part Number STC500100. Land Rover Serie Cilindro Maestro. Wheel Nuts Hi lift jacks & Acc. Tyres Safari Snorkes Defender Parts Discovery Parts Range Rover Parts Wheels Tools Gift Ideas Series Discovery 1 89-93 Discovery 1 94-98 Discovery 2 99-04 Range Rover Classic Range Rover P38 Range Rover l322 Freelander Discovery 3 Defender 90 & 110. 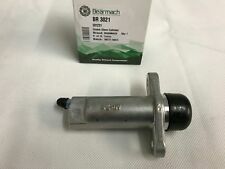 Clutch master/slave cylinder, part number STC000180. Wheel Nuts Hi lift jacks & Acc. Tyres Safari Snorkes Defender Parts Discovery Parts Range Rover Parts Wheels Tools Gift Ideas Series Discovery 1 89-93 Discovery 1 94-98 Discovery 2 99-04 Range Rover Classic Range Rover P38 Range Rover l322 Freelander Discovery 3 Defender 90 & 110. LW & Series Land Rover Spares was established in 2005 & is an authorized Bearmach distributor, we specialize in new & second hand Land Rover Spares plus general maintenance parts. This is suitable for all Land Rover Series 3 models from 1971 onwards excluding the 109" V8. Land Rover Defender TD5 & 300TDI models only. LW & Series Land Rover Spares was established in 2005 & is an authorized Bearmach distributor, we specialize in new & second hand Land Rover Spares plus general maintenance parts. 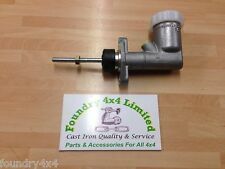 Land Rover Series 2a Lucas Girling Clutch Brake Reservoir Dual outlet 504105G. (optional Girling or white print types). LW & Series Land Rover Spares was established in 2005 & is an authorized Bearmach distributor, we specialize in new & second hand Land Rover Spares plus general maintenance parts. Defender all models up to 2010. Nombre de producto: Tubo de cilindro maestro de embrague Clip - Land Rover Defender - Juego de 5 - NTC1175. Range Rover. A continuación puede encontrar una traducción automática al español. Tapas de combustible del. Defender all models up to 2010. LW & Series Land Rover Spares was established in 2005 & is an authorized Bearmach distributor, we specialize in new & second hand Land Rover Spares plus general maintenance parts. Land Rover Series 1 2 2a 'Castrol' Lucas Girling Clutch Brake Reservoir Plain Cap & Seal. 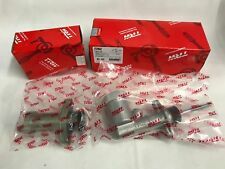 Part number 500201/260819/260820. 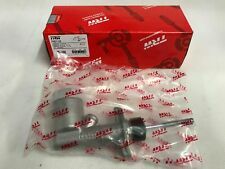 Clutch master/slave cylinder, part number STC000160. Wheel Nuts Hi lift jacks & Acc. Tyres Safari Snorkes Defender Parts Discovery Parts Range Rover Parts Wheels Tools Gift Ideas Series Discovery 1 89-93 Discovery 1 94-98 Discovery 2 99-04 Range Rover Classic Range Rover P38 Range Rover l322 Freelander Discovery 3 Defender 90 & 110. 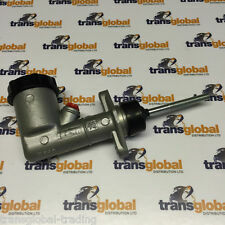 Lucas Girling Clutch Brake Reservoir Dual outlet 504135. (optional Girling or white print types). Original Allmakes für Land Rover Kupplungsgeberzylinder. Zustand: Das neue unverbrauchte Ersatzteil. Marke: Genuine Original Allmakes für LAND ROVER. Passend für: Land Rover Freelander, Freelander Soft Top. Part Number: STC500100. FREE CARRIAGE APPLIES TO MAINLAND UK ONLY. This master cylinder will fit all Series 3 models. Pictures are for reference only and specifications may alter without notice. Product specifications are given but it is up to the end user to ensure that the product is fit for that purpose. Land Rover Series 1-2a & 101 Clutch Brake Master Reservoir Clip Clamp 90217636. 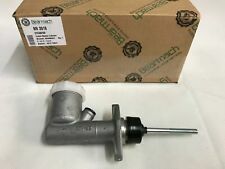 LAND ROVER DEFENDER CLUTCH MASTER CYLINDER. THIS ITEM WILL FIT ALL DEFENDER MODELS (1987-2010). AB30-38, AB44-56, BT, FK17-99, G83, IV1-28, IV30-39, IV52-54, IV63, KW1-14, PA21-33, PA34-40, PH18-26, PH30, PH31-41, PH49-50, HS1-9, IV40-51, IV55-56, KA27-28, KW15-17, PA20, PA41-49, PA60-78, PH42-44, ZE1-3 All part numbers are for reference use only. Equivalent to Land Rover STC500100 (part No. used for reference only). Defender 90/110/130 – All models. DLS LAND ROVER SPARES UK. Clutch Master Cylinder. UK MAINLAND Flat Rate to 30kgs = FREE. Series 3 – All models. AEU1714 Clutch Master Cylinder. Part Number: AEU1714. Defender Parts. Series 2 & 3 - Defender 90/110/130, Discovery 1,2,3,4,5 & Sport - Freelander 1 & 2 - Range Rover Classic, P38, L322, L405, Sport & Evoque. Premium Quality Bearmach Land Rover. Clutch Master Cylinder Cap. 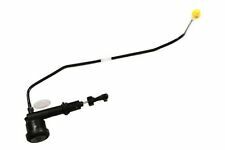 CLUTCH MASTER CYLINDER ASSEMBLY FOR: LAND ROVER DISCOVERY SERIES 2 TD5 DIESEL MODELS. Defender Master Cylinder. Land Rover embrague maestro cilindro P/N: 550732 Fit serie III 88SWB, 109LWB y más. 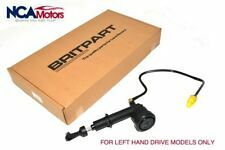 Britpart P/N: 550732. Part Manufacturer Number 550732. Land Rover embrague Cilindro maestro. Equivalente a Land Rover P/N: STZ 500100. Equivalent to Land Rover 90569126 (used for reference only). Series 2a Brake and Clutch –SWB 88” 2.25 Petrol and Diesel. Series 3 Brake only –SWB 88” 2.25 Petrol and Diesel single circuit. PARTS >> ACCESSORIES >> DEFENDER SERIES DISCOVERY 1 1989 to 1998 DISCOVERY 2 1999 to 2003 DISCOVERY 3 2005 to 2009 DISCOVERY 4 2010 to 2016 DISCOVERY SPORT 2015 on FREELANDER 1 1996 to 2006 FREELANDER 2 2006 to 2014 RANGE ROVER CLASSIC RANGE ROVER P38 RANGE ROVER L322 2002 to 2012 RANGE ROVER L405 2013 on RANGE ROVER SPORT RANGE ROVER EVOQUE UPGRADES >> TOOLS,OILS AND OTHER DIY >> Books Manuals and Gifts. On occasions there may be more than one option available for your vehicle. OE Part No. :- ANR2651. Discovery 1 300tdi from chassis number LA 081991. Range Rover Classic Diesels - from chassis number MA 647645. 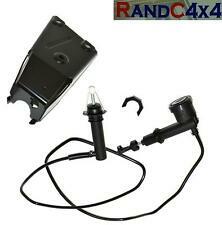 Genuine OEM Clutch Master Cylinder. Any item which has failed will be subject to their inspection. STC500100 Clutch Master Cylinder. Part Number: STC500100. 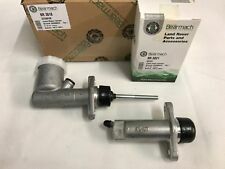 Land Rover 3 Series & Defender New Clutch Master Cylinder. Land Rover Defender, (1986-2016). Defender Parts. Series 2 & 3 - Defender 90/110/130, Discovery 1,2,3,4,5 & Sport - Freelander 1 & 2 - Range Rover Classic, P38, L322, L405, Sport & Evoque. 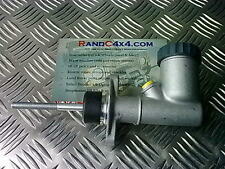 Land Rover Clutch Master Cylinder Freelander 1 All LHD models with 2.0 TD4 BMW M47 diesel engine STC000170A. Freelander 1. Clutch Master Cylinder. Pictures are for reference only and specifications may alter without notice. Land Rover Part Number : 577687. Genuine Bearmach High Quality Components known all over the world for high quality parts. L R Parts Ltd is an authorized Bearmach distributor, we specialize in new Land Rover Spares, stainless steel bolt sets for Land Rovers and general maintenance parts. STC500100 591231. 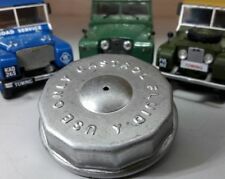 LAND ROVER SERIES 3 CLUTCH SLAVE AND MASTER CLYLINDER KIT. THIS WILL FIT SERIES 3 LANDROVER 1971 1984 (EXCEPT V8). Any item which has failed will be subject to their inspection. The manufacturer's decision on any warranty claim is final. OE Part No. :- ANR2651. Land Rover Discovery 1 300tdi Clutch Master. Discovery 1 300tdi from chassis number LA 081991. Range Rover Classic Diesels - from chassis number MA 647645. Clutch Master Cylinder. (Land Rover Part Number : 577687. CLUTCH MASTER CYLINDER CONNECTOR PIPE. which connects to the flexible hose. This will slow down the dispatch of your parcel.). Estamos rompiendo un completo Land Rover Discovery 3 TDV6 S 2005. Discovery 3. Land Rover. Embrague sistema amortiguador. 2005 (Placa de 05). GASTOS DE ENVÍO GRATIS EN LA MAYORÍA DE LAS PARTES. Buen estado de funcionamiento. Removed from Defender we did a Automatic Conversion on. Bombin Receptor de Embrague. LAND ROVER 591231 FRC8531 GSY133 FRC8531. 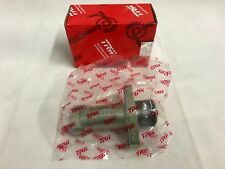 Sistema de frenos Trw. Part number for reference: STC000210L. -Freelander 1 petrol and diesel to YA999999 LEFT HAND DRIVE ONLY. -Freelander 1 1.8 petrol from 1A000001 LEFT HAND DRIVE ONLY. 0E part number for reference only:-STC000280. Discovery series 2 TD5. Wheel Nuts Hi lift jacks & Acc. Tyres Safari Snorkes Defender Parts Discovery Parts Range Rover Parts Wheels Tools Gift Ideas Series Discovery 1 89-93 Discovery 1 94-98 Discovery 2 99-04 Range Rover Classic Range Rover P38 Range Rover l322 Freelander Discovery 3 Defender 90 & 110.